Poets in Nigeria (PIN) is pleased to announce the shortlist for the 2nd edition of Ken Egbas Poetry Prize. Closing to submissions on 30th November, the prize received 138 entries focusing on cultural heritage, black pride and environmental consciousness. The prize winners (top three entrants) will be announced tomorrow 20th December during ‘Calabar Welcomes You’ – a first-day programme of Festival Poetry Calabar 2018. 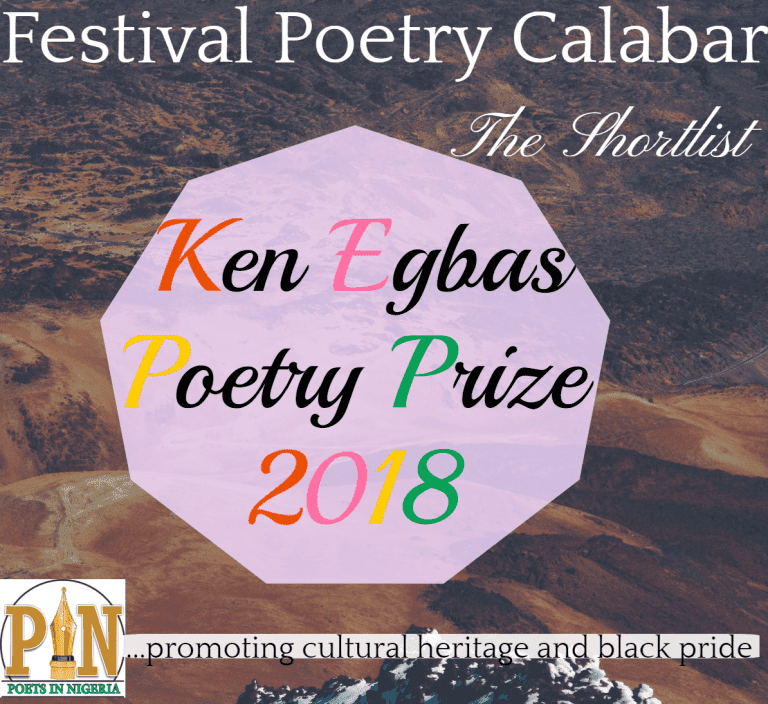 Ken Egbas Poetry Prize, sponsored by Dr. Ken Egbas, is expected to run for a period of five years, giving rise to the discovery and promotion of credible literary voices.